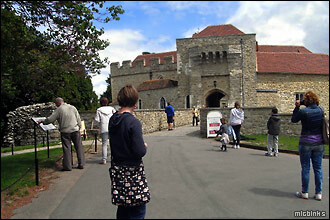 Kent has more historic castles than you can shake a stick at - or should that be shoot a bow and arrow at! 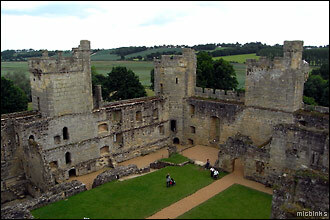 We visited two of them while holidaying in Kent, Leeds Castle and Bodiam Castle. At Leeds we got lost in the magnificent maze and at Bodiam arrived via the wonderful Kent and East Sussex Railway, a preserved steam railway that runs from Tenterden to Bodiam. 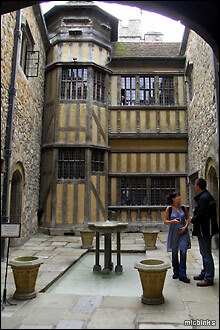 ...Henry VIII's banqueting hall. Now that guy got everywhere and frequently pops up on our travels. 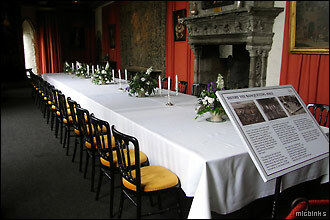 We could just imagine the riotous laughter and merrymaking as the serving wenches served up yet another dish. The ebony floor was sprung for dancing and the carved Caen fireplace originates from the 16th century and came from a French chateau. 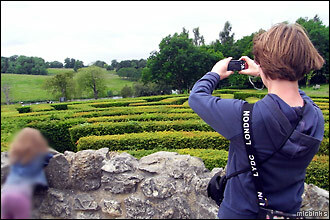 Please see our tourist resources for more. 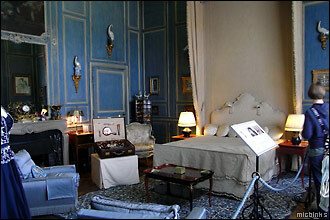 Here's Lady Baillie's bedroom, complete with Louis XIV-style panelling. 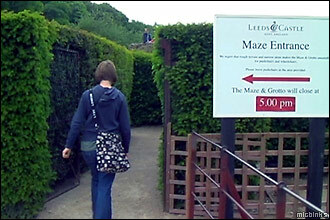 She was the last private owner of Leeds Castle before leaving it to a charitable trust in 1974 after her death. 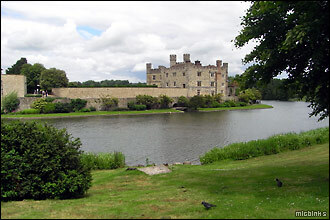 We were delighted photography was allowed around Leeds Castle's state rooms, as so many of these sort of places don't permit it. ...an eerie underground grotto full of mythical beasts such as this guy, Typhoeus. 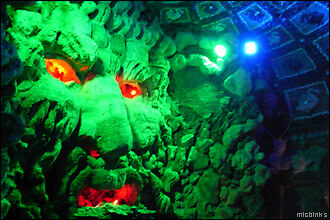 The scary grotto was created out of shells, minerals and wood and enhanced by some well-designed mood lighting. 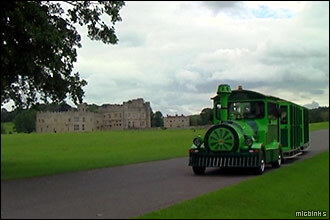 Leeds Castle adult entry cost £21 at the time of our visit with tickets valid for a year; this also covered the extensive gardens, maze, falconry demos, moat punting and this castle train, called Elsie. 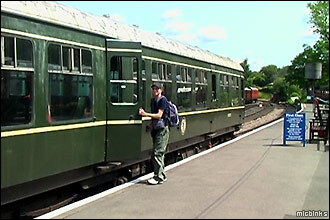 ...Tenterden then and Mike excitedly boarded the KESR vintage train carriage. 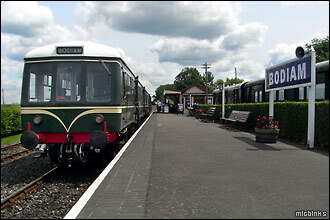 Can you spot the water tower used to fill the steam locomotives on the right? 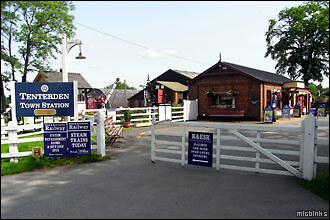 It's about a 50 minute ride through the Kent countryside between Tenterden and Bodiam, passing through Rolvenden and Northiam along the way. 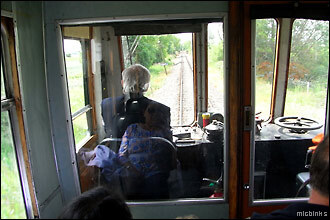 Mike headed up the train carriage to get this shot of the driver and the railway track ahead. 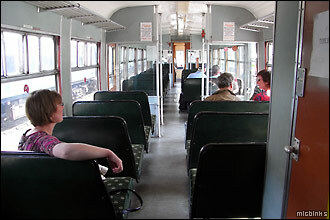 Now this isn't a view you can get on the steam hauled train! 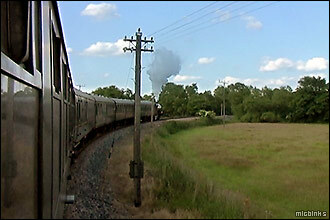 However, we did enjoy watching the steam service of the Kent and East Sussex Railway hissing and spitting as it came by the other way at a passing point. Wonderful! 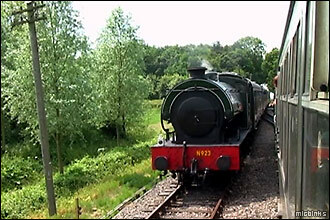 We combined our ride on the Kent and East Sussex Railway with a visit to the moated 14th-century Bodiam Castle, which entitled us to a reduced entry price from the usual £6.70. 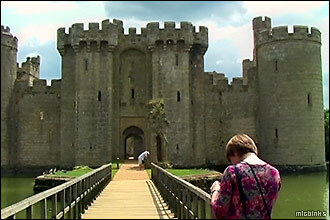 Unlike Leeds Castle earlier, Bodiam Castle is preserved in ruins which can be explored with the help of the (included) guide sheet. 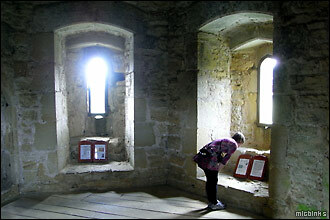 Previously in Kent we've visited Canterbury Catherdral and Dover Castle, and the Romney, Hythe & Dymchurch Railway.